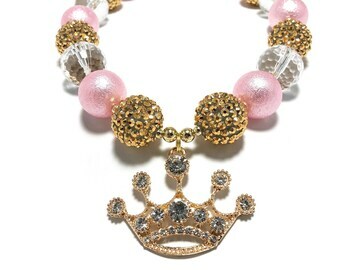 Princess Crown Chunky Necklace. 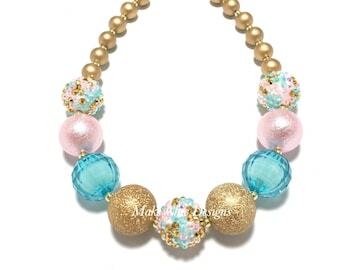 Made with pale pink bubble pearl chunky beads, shimmer pastel hot pink chunky beads, clear crystal chunky beads and hot pink rhinestone chunky beads. 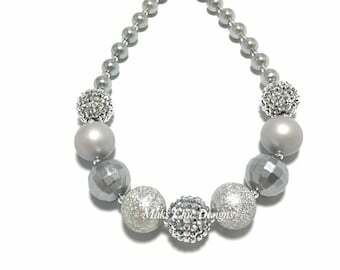 A beautiful 2" Silver Plated Rhinestone Crown Pendant was added to the center. 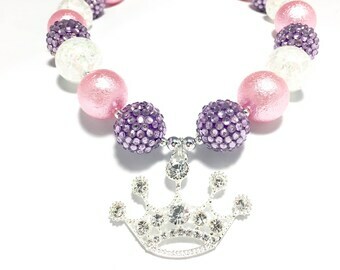 Perfect for your princess! I do my best to triple check that every item is sealed and secured. 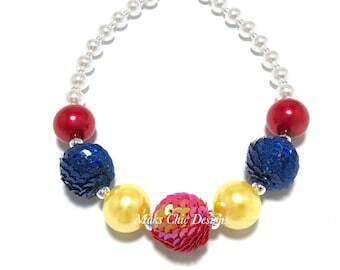 These chunky beaded necklaces are considered choking and strangulation hazards to children under the age of 3. 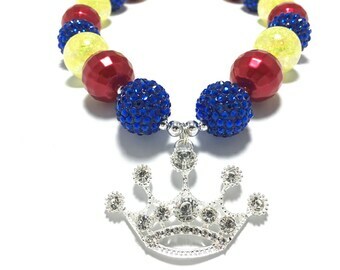 Young children should not be left unattended while wearing this item. 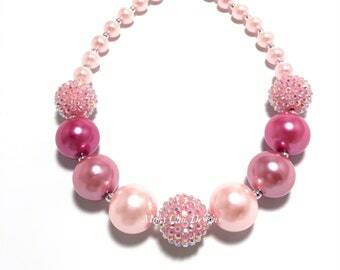 Its best to keep necklaces/bracelets free from water or harsh chemicals. It may fade over time is not cared for.